I feel like a father watching his daughter move away to college, get married, change her last name and begin a new journey with unlimited possibilities. Though I’m sad to see this name change, I’m thrilled to see how God can take a humble birth, fill it with His power and Spirit, and launch a ministry that has influence and impact on the community and the world. It’s not the first time He’s done that…and I’m quite certain it won’t be the last! To all of those friends, family members and special guests that were part of those formative years-who prayed and supported what God was doing even when we didn’t know what we were doing-I say THANK YOU from the very center of my being and with all of my heart. This new season will be significant for each of us and should be embraced as a natural part of a supernatural lifecycle. 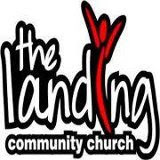 It’s been an honor to serve The Landing and it will be a privilege to pray for it’s successors, Ps. Bodie Sanders and Ps. Aaron Hunter as they begin with a new vision and a new name: Collective Church. I bless you today with the words I used to close every service...may the Lord bless you and keep you, make His face shine upon you and be gracious to you. May He lift up His countenance upon you and give you peace. AMEN.